Food is my love language! I'm back to share a few of my favorite San Francisco Spots to visit during February! If you're looking for a cute restaurant for Galentine's day or a last minute romantic get away, you will surely fall in love with these spots! 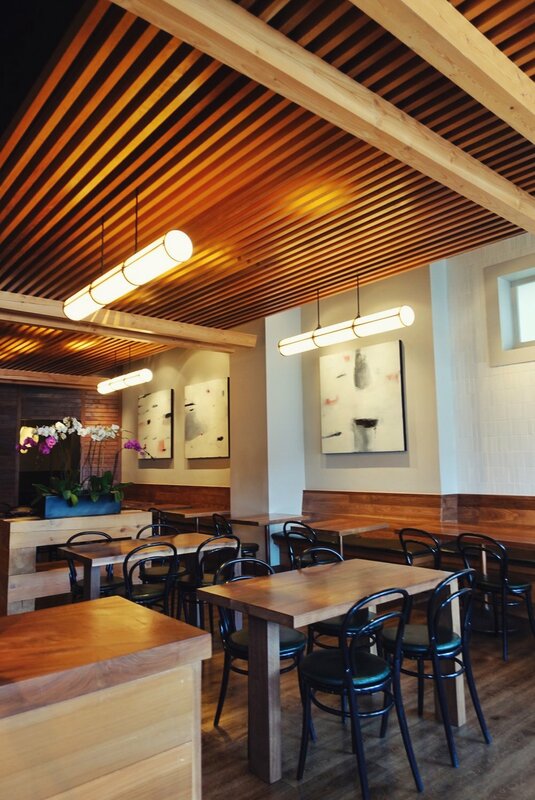 Nomica is an upscale Japanese style bistro located on Market Street, San Francisco. Start with an artisanal cocktail like the Mr. Moto’s Gamble, made with tequila, mezcal, hibiscus and orange blossom honey or Fountain of Youth made with Vodka, pineapple & shiso awamori, kumquat, lime and tonic. Both refreshing with lovely citrus notes. Save room for dessert and try the Miso Chocolate Cremeux made with blood orange sorbet, citrus, and pistachio. Head to the back of the Succulence store to find this fun USEXY sign! If you're a plant lover like me, then you must visit Succulence in Bernal Heights. Build your own terrarium or moss wall. Plants make the perfect gift for friends or loved ones! A few types of plants that are super forgiving (even if you don't have a green thumb) and survive well with low light is Viper's bowstring hemp, Fiddle Leaf Fig, or Chinese Evergreen. Plan a romantic getaway to Mendocino, CA. It's 3 hours north of San Francisco with a beautiful scenic drive thru wine country. If you're looking for a romantic getaway with your loved one, check into Heritage House in Mendocino. The luxury property has a stunning view of the Pacific Ocean where you can watch the most breath-taking pink sunsets! Note, this is a popular wedding venue and place to host events. 5200 Restaurant is located on the Heritage House property. They serve farm to table dining with delicious wine pairings. This is truly a spot you can't miss for a relaxing getaway weekend. Brunch with friends! Nothing says love like a buttery croissant and a cup of fresh coffee! Vive La Tarte has been on my bucket list of cafe's to visit for a few months now! I'm happy to say I finally got a chance to visit the SOMA location for brunch with friends and it was DELICIOUS! Vive La Tarte is not your traditional cafe but located in an open space warehouse setting. The seats are first come first serve which allows you to mingle with other diners. They have handcrafted pastries, brunch items, and specialty coffees. They recently created the Tacro (a taco and croissant hybrid) at the Ferry building location. What are some of your favorite spots to visit this month? Thank you for reading and Happy Valentine's Day!